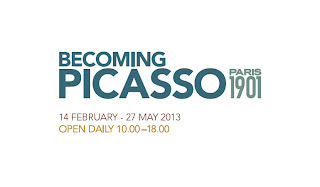 The Picasso exhibition at the Courtauld Gallery closes this month, on Monday 27 May. I have just visited. 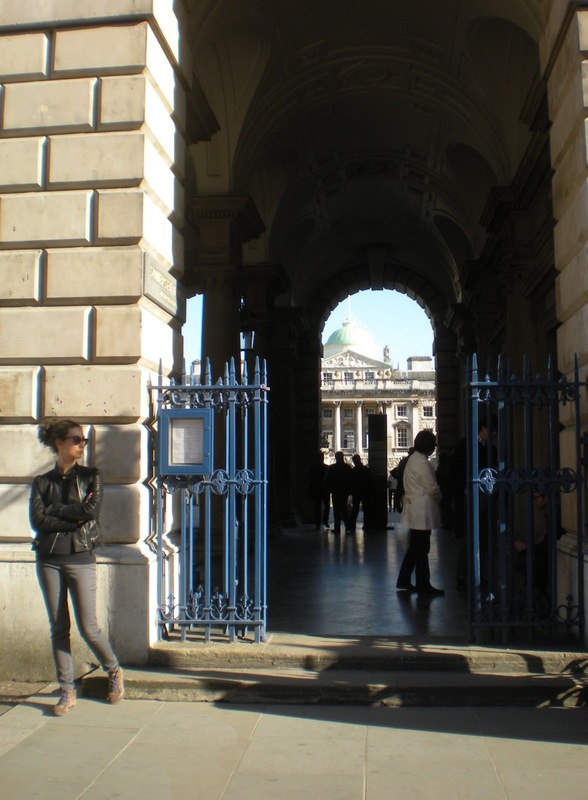 * £6, Tue to Sun; £3, Mon all day; open 10-6 pm in the North Wing of Somerset House, entrances in Victoria Embankment and Strand. The above details should be all you need really: the exhibition is brilliant; truly exquisite. It helps to know also, in these busy times, that it’s a relatively small exhibition, just two rooms of paintings, Rooms 14 and 15 on the second floor. Prepare yourself for a space and time shift to the Paris of 1901. Inspired by his visit to Paris the previous year where he met Ambroise Vollard, the city’s most important modern art dealer, Picasso started thinking of exhibiting the following year. He produced something like 64 works in not much more than a month, sometimes 3 canvases a day. They were and are his first masterpieces. Here is Picasso’s Absinthe Drinker (see pic), harrowing in its painterly depiction of someone in the grip of depression or indecision and alcohol. The woman's pain is written on her face. She is literally hugging herself, holding herself together. And there on the table the proprietor has placed a siphon of soda water. Perhaps she will add some to her glass rather than drink the stuff neat. Like all greats, Picasso had acute powers of observation. In one picture a woman sits in a café with an older child, hugging her baby. In a companion picture the woman is in the street, her child beside her, her baby asleep and heavy in her arms. It opens up the whole narrative of how she got there. The painter’s observations travel inwards as well. While Picasso was still in Madrid, one of his closest friends, the poet Casagemas, shot himself in Paris. Picasso paints him in his coffin, paints him ascending to heaven. These paintings and their subject matter are generally acknowledged to be the start of the grief paintings of the artist’s blue period (also shown is The Blue Room). Here in London also, but only until 26 May unless a buyer for it is found in this country, is Child with a Dove – painted by a 19-year-old. The small girl with the cropped head (the result of illness?) tenderly clasps a dove to her breast. The style of painting is bold, the child seemingly energized by the power of the brush strokes. An expression of the interplay between life and the nearness of death, the painting is not only beautiful but the opposite of sentimental. There is the famous self-portrait on which the artist writes “Yo – Picasso” (“I – Picasso”). It is fabulously in your face. The artist is depicted in white smock with vivid orange cravat set against a dark background. He is holding up his wares, his palette of many colours, and looking the viewer straight in the eye. Wow. What a debut. What a debut still. NB: if you have time, go to drawings and prints in Room 12. 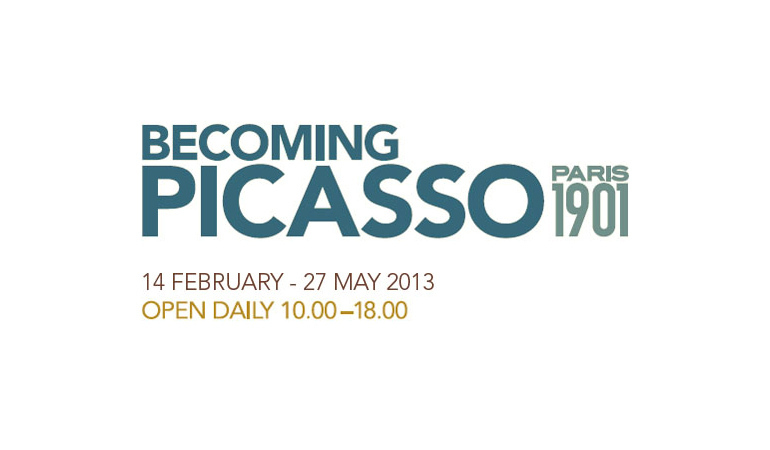 Here you will find Picasso set among his contemporaries, Matisse and Maillol, working in the period just after the horror of the 1914–18 World War, going back to basics by studying classical themes such as the female form. Look at the artist’s Seated woman and tell me if there’s a better way of expressing volume in two dimensions using just a pen and a line of black ink. * Your reviewer’s sudden decision to write about the arts in London may have something to do with the fact that she keeps missing gems like this one.